Tired of dealing with all the issues of where and when to send furniture before a home is ready? Tired of finding out a piece is damaged in your customer’s home? Fed up with freight company’s delivery schedules and requirements? Welcome to Boer’s Designer Service. We are an experienced team of moving and storage professionals already in place to take care of all of your logistical needs. Boer’s can handle receiving, inspecting, storage and delivery of everything from small lamps and pictures, to the largest armoire. We also offer these services for construction materials; from electrical and plumbing fixtures, to floor covering such as carpet and tile. Boer’s offers a custom arrangement to every customer that works together with us. We can tailor our services to provide a full array of options. They can vary from a full inspection of items, with digital photos, storage and in-home delivery to simple dock receiving available for customer pickup. Our ten receiving docks and doors are open to freight receiving, and pick-up from 8am to 4pm Monday through Friday. We can accommodate later hours and Saturday mornings by appointment for those “rush, last minute” orders. Our veteran warehouse manager and staff have over thirty years of experience receiving and handling furniture. Warehouse staff will scrutinize each item as it comes in to identify any damage to packaging. If any discrepancy has been noted, he will check the item further for damage. Some of Boer’s designers prefer to have every piece unwrapped as it is delivered to our facility. Warehouse staff can check for the normal manufacturing issues such as bad finishes, chips and scratches, to rips in the fabric. This type of inspection runs at a reasonable hourly rate. Following the receiving of items, our staff can email or fax the freight bill of ladings to you as confirmation of the piece(s) being accepted at our dock. These originals can be saved to build a file and list on your client while awaiting delivery instructions. We are also capable of sending any digital images needed at any time. 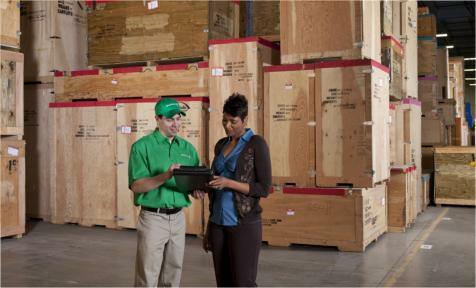 After receiving, the items can be picked up, delivered, or stored in our heated warehouse. Our warehouse is protected with a security system and has twenty four hour recorded surveillance cameras. Items can be picked up within three days with no storage cost, or can be held for storage until the client is ready for delivery. 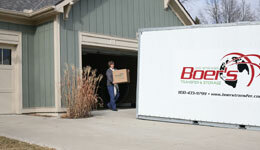 Storage is billed in 30 day increments on a per piece basis. Boer’s offers an extremely competent and experienced delivery crew. Our delivery staff is well versed in the careful process of properly padding and loading furniture on our fully equipped delivery trucks. Our staff moves truck-loads of furniture into customer’s homes on a daily basis. Boer’s is confident that we possess the highest skill set in the business. Boer’s employees will cover floors, pad railings, and protect the residence as part of our normal delivery process. 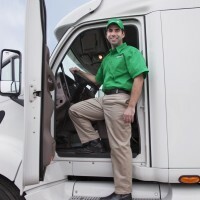 Our staff takes great pride in a flawless delivery, leaving your customer’s home without a scratch. The Boer’s staff can complete the delivery by taking away and recycling or disposing of all the unwanted dunnage that is used in shipping the goods. Please call Boer’s and elevate the appearance of your business today!